This beginner's guide offers a first glimpse into the natural world of fish. In this bilingual addition to the acclaimed About. 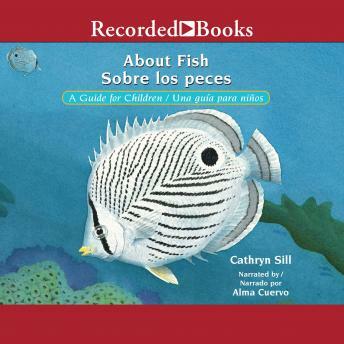 series, educator and author Cathryn Sill uses simple, easy-to-understand language to teach children the basic characteristics of what fish are, how they swim, breathe, and reproduce, and the different ways they protect themselves from predators. With beautifully detailed, realistic paintings, noted wildlife illustrator John Sill introduces readers to the diversity of the fish population, from an Arctic char to a Porcupine fish. An afterword provides further details on the fish featured and inspires young readers to learn more. Author bio: Author profile: Cathryn Sill, a graduate of Western Carolina University, was an elementary school teacher for thirty years. She lives in North Carolina.